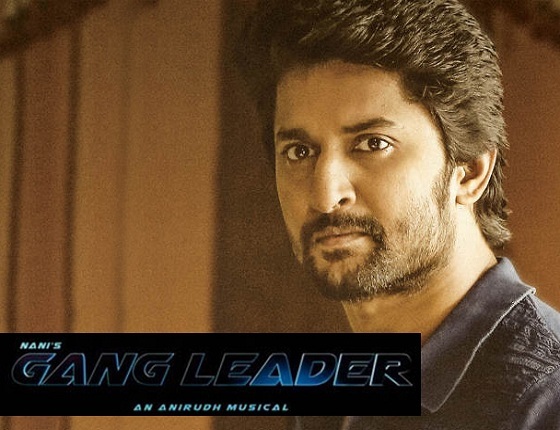 Hero Nani and ‘Manam’ fame director Vikram K Kumar’s next film is titled ‘Gang Leader’ and the teaser of the film is already out, impressing many. Guess what, while Nani himself announced that this title is a tribute from a young hero to his favourite star (Megastar Chiru), many were actually upset with it. Especially mega fans are not happy with Nani grabbing the title as they thought that someday either Ram Charan or Allu Arjun would use the title Gang Leader. On the sidelines of a recent interaction session, actually, Nani has confirmed with few media folks that he is ready to go for a title change if needed. He’s said to have told that if someone suggests a better title for the film than Gang Leader, definitely he is willing to change it, even though posters and teasers of the film are ready with that title. However, those who are real admirers of Megastar Chiru are asking the young hero to not change. If Nani goes for a title change now, the blame will be pushed on mega fans for that. Is there a need for that? And then, what happens if some good actor like Nani uses a title of Chiru? That also will be a proper tribute, they feel.